Lonely Planet ***Northern California***is your passport to the most relevant, up-to-date advice on what to see and skip, and what hidden discoveries await you. Hike subalpine valleys in Yosemite National Park, take in views of the iconic... read more Golden Gate Bridge in San Francisco, sample America's best wines in the Napa and Sonoma Valleys; all with your trusted travel companion. Get to the heart of Northern California and begin your journey now! 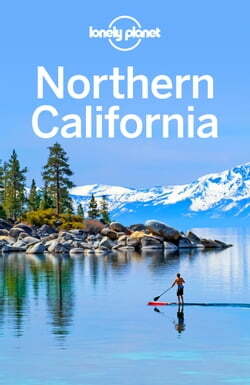 The Perfect Choice: : Lonely Planet Northern California, our most comprehensive guide to Northern California, is perfect for both exploring top sights and taking roads less traveled. Looking for more extensive coverage? Check out Lonely Planet California for a comprehensive look at all the state has to offer.